I recently went to a commercial awareness event at an international city law firm recently and the discussions were based on the big financial and legal stories of the last few months. Commercial awareness is an attribute that many graduate employers like to see (in all sectors ranging from law to engineering to marketing) candidates have. For some employers commercial awareness may mean reading publications like Financial Times daily and for others having an understanding of business efficiency. Commercial awareness is a vital skill to have as it will give you the ability to build solutions to problems and give you an understanding of issues affecting clients. Commercial awareness is extremely important. The problem is that many of us do not understand what commercial awareness exactly is and how to apply it. I used to be one of those people, not having a clue what commercial awareness actually is. I used to think that the FT was the beginning and the end of commercial awareness. The commercial awareness event I attended recently made me realise how far I have come from those days. So what exactly is Commercial awareness? It can be defined as ‘staying up-to-date on daily happenings and developments in the business and commercial world’. It also having an in-depth understanding of the business to which you have applied for or work for and similar businesses. 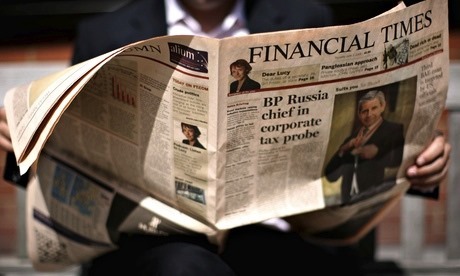 Its more than just reading the business sections of newspapers, its also showing practical examples. For example if you are a treasurer at your university society you are responsible for budgeting, how many is spent and that the society does not get into debt. Your extracurricular activates or your part time job could be used to show that you understand the commercial aspects of a business. An understanding of their business– What do they do? What are their products and services? What areas do they practice in? What is their history? What is their strategy? An understanding of the marketplace– Who are their competitors? How do they differ to their competitors? An understanding of the industry– What are the recent developments in the industry? What are the future trends? What are the challenges the the industry currently faces? How to develop commercial awareness? Commercial awareness does not come automatically, it is a skill that is developed. It is an attribute that constantly has to be nurtured. Someone once told me that you have to act and think like what you aspire to be. This means that if you are an aspiring lawyer, you have to act and think like one. This means that if you are an aspiring investment banker, you have to act and think like one and so forth. As part of your profession, it is important to research and know what is happening within your industry. In particular what is affecting your industry, the economic and political influences, your competitors and so forth. This is not only important for knowing what is affecting your clients but the employer you wish to work for. Remember the employer you are applying to is a business too, will want to expand and be successful. To keep up to date, improve and develop your commercial awareness I have listed websites down below that I think are helpful. 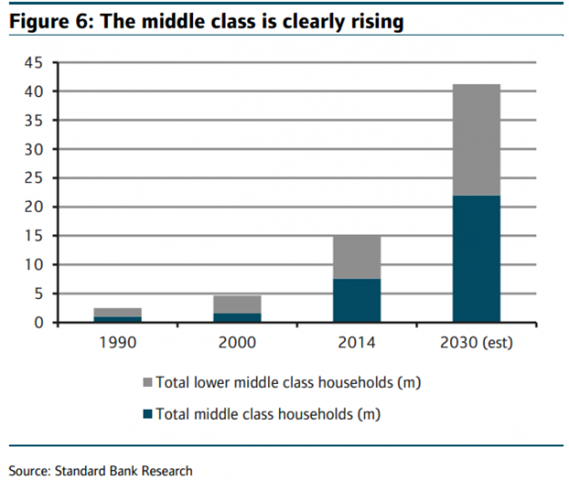 The Rise of the African Middle Class? 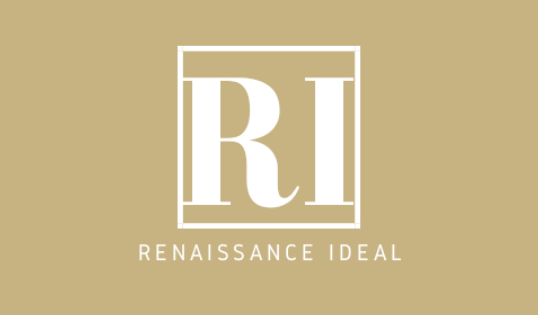 October 27, 2014 by renaissanceidealLeave a Comment on The Rise of the African Middle Class? As a woman of African heritage, I have seen and heard many misconceptions of Africa. I am sure you have heard of this one-the infamous stereotype where Africans live in huts and drink dirty water. Growing up, I showed pictures to acquaintances and school friends of my holidays in Africa. It was always met with disbelief. They could not believe how beautiful Africa was. As Africa’s economy is growing stronger, its image is slowly changing, something that should be welcomed and acknowledged. The image of huts and children drinking dirty water is changing into ‘Africa is finally on the path to becoming a consumer society’. They call it the ‘rise of the African middle class’. However has there not always been a middle class in Africa? Is it just because Africa’s GDP has become steady in recent years that there is now a middle class? Has the middle class suddenly come into existence? There always has been a middle class in Africa. I hear family stories of my great grandmother (and many others in my family and beyond), being a educated woman who loved and could afford the finer things in life. Africans have always driven flashy cars and worn designer brands. There are factors that separate the African middle class of today to the African middle class of yesterday. The main difference between the middle class of the past and the middle class of today, is that there are simply more people in the middle class. There are more Africans after spending on necessities who now have the resources to spend discretionally on consumer goods. According to African Development Bank, the African middle class which was numbered 115 million in 1980 has risen to 326 million in the past three and a half decades. This is set to increase, with the number of middle class households in 11 key African economies (Angola, Ethiopia, Ghana, Kenya, Mozambique, Nigeria, South Sudan, Sudan, Tanzania, Uganda and Zambia excluding South Africa) to triple to 22 million by 2030 according to the Standard Bank figures. This includes lower middle class households to increase to 40 million in 2030 from the 15 million households of today. As reported by the Standard Bank, the 11 economies account for over of half of Sub-Saharan Africa’s total GDP (75% if South Africa is included), a population of over 525 million people (over half of Africa’s population) and an average growth of 6.3% in 2013 and a predicted growth of 6.5% forecast for 2014. The surge in African household incomes has brought more into the middle class group and therefore more are spending on healthcare, financial services, mortgages, education, vehicles and luxury items. The owner of The Wish Collection, a luxury store, Caron Koonin says, “The more money people make, the more they want the finest products. There’s always aspirational value”. When an individual’s income increases, the more likely it is they would want to spend more on luxury items. This does not just happen in Africa as analysts have reported but also across the majority of middle class households in the world. Caron Koonin’s store, in Sandton City Mall Johannesburg, is the biggest shopping centre in Sub-Saharan Africa. The Wish Collection has a large clientele with shoppers from oil rich Angola, Nigeria and Ghana. No longer are the middle class travelling abroad in order to spend, the money is staying within the continent. Although the African middle class will grow to 1.1 billion in 2060 as the Deloitte Report (The Rise and The Rise of the African Middle Class) suggests, there are a number of problems that could impact the growth of Africa. These risks that are threatening to disrupt the continent’s growth include the current outbreak of Ebola in West Africa, Islamic extremism and growing fiscal imbalances in some countries. The IMF has warned that trade and tourism and investment confidence in some countries could be affected as the outbreak takes its toll in Sierra Leone, Liberia and Guinea. There is cause of concern with security issues in Northern Nigeria, Cameroon, Mali and Kenya as well as conflicts in South Sudan and Central African Republic. Ghana and Zambia have widening fiscal deficits driven by an increase in public sector wages and other expenditures. As a result, it has fuelled inflation and exchange rates. We must not forget that though it is good news that there are many climbing out of poverty, more needs to be done. Africa is enjoying an era of promising economic growth that has lead to ‘The rise of the African middle class’ and what many call ‘Africa Rising’. The poorest countries in Africa are likely to see the fastest growth rates in the world, averaging more than 8% in Chad, Democratic Republic of Congo and Mozambique. However, corruption still remains and governments are slow to build efficient institutions for the long term. There is also a need for some African countries to diversify their economies beyond its commodities. Nigerian economists are concerned about the sustained lower global prices for oil, on which the state depends for at least 80% of its revenue. Ghana earlier this year (after a warning by the IMF) introduced measures in an attempt to diversify its economy by encouraging farmers to produce rice, sugar and poultry (which costs the country $1 billion a year to import). The media in some African countries are under attack and some politicians are overreaching their mandate by extending their legal terms in office. Furthermore, jobs are lacking in a ever more educated generation especially for the youth. Take Nigeria for example, the continent’s biggest economy has 56% of its youth unemployed. Economic growth is high, but inequalities still exist. Though Africa has the fastest growing middle class and wealth is slowly trickling down, it is not translating into improving the livelihoods for the majority. Additionally, the lower end of the middle class is fragile and many are vulnerable to poverty.The recent US-Africa Leaders Summit demonstrated the great investment and business opportunities in Africa. Whilst leaders were praised at the summit for economic development in their individual countries, political and social issues are yet to be tackled. It is time for Africa’s leaders and politicians to understand economic growth alone would not solve Africa’s challenges. Investment in health, education, infrastructure, agriculture and most importantly good governance will tackle the continent’s challenges. The head of the African Development Bank, Donald Kaberuka said, “you can’t eat GDP ”. Strong growth is simply not enough. Better governance is the only solution to Africa’s challenges. A landmark ruling against Google will give people the ‘right to be forgotten’. The American company Google has launched a service which is available from Friday. It would allow Europeans to ask Google to censor links that hold personal data. Personal data would be able to be removed from online search results. This follows the landmark EU ruling where the court gave individuals the ‘right to be forgotten’. This means that ‘irrelevant’ links and outdated data should be removed if requested, the court ruled this on the 13th May. The case concerned a Spanish man who complained that an auction notice of his repossessed property which was on Google results, infringed his privacy. Google has said that people who wish to remove their personal data from online can do so by an online form. People who wish to remove their personal data would need to provide links they want removed, the country they are from and the reasoning behind their request. In addition to this, individuals will have to provide a valid photo identity. In an interview with Financial Times, Larry Page (see picture above) warned that the court’s ruling could restrict innovation and strengthen repressive governments who restrict online communications. Mr Page said Google will comply with the ruling and promised to be involved in the privacy debate “I wish we’d been more involved in a real debate . . . in Europe,” he said. “That’s one of the things we’ve taken from this, that we’re starting the process of really going and talking to people”. 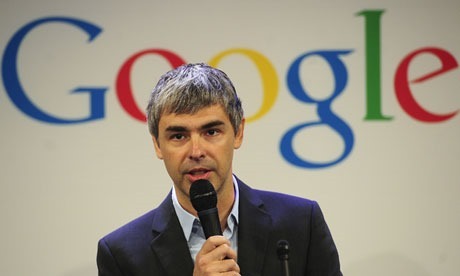 Larry Page also said the company will try to ‘be more European’. Social media giant Twitter confirmed last week their intention to float on the market. This was revealed on their website. Twitter is said to be worth at least £6.32 billion according to GSV Capital. Profits last year was valued at $350 million and is expected to increase this year. The filing was confidential which is allowed by The Securities and Exchanges Commission under the JOBS Act. The act allows firms which have less than $1 billion in annual revenue to register a public share sale without publishing details of the application. The JOBS (Jumpstart Our Business Startups) Act passed in 2012 requires a company under US law to go public if it has more than 2000 investors. On Thursday, the government formally began the floating process for Royal Mail on the London Stock Exchange. It is argued to be the most ambitious privatisation since the privatising of the railways in the 90s. The Royal Mail privatisation is said to be worth £3 billion and the initial public offering is to take place in the coming weeks. It faces staunch opposition from the Communications Workers Union. Even though the government has promised 150,000 postmen and women a 10% stake in the company worth £2000 each, the union is still opposed to the privatisation. The CWU is committed in disrupting the sale process and has also rejected a 8.6% pay rise over three years. The struggling business, Dell has been brought by its founder Michael Dell. The shareholders backed his offer of $13.88 a share. Activist investor Carl Icahn fought a deal to buy Dell but was defeated by Michael Dell. This comes as traditional PC companies are struggling to make money, with figures showing that PC sales will be overtaken by tablets for the first time-84.1 million tablets will be shipped in the fourth quarter of 2013 compared to 83.1million PCs. 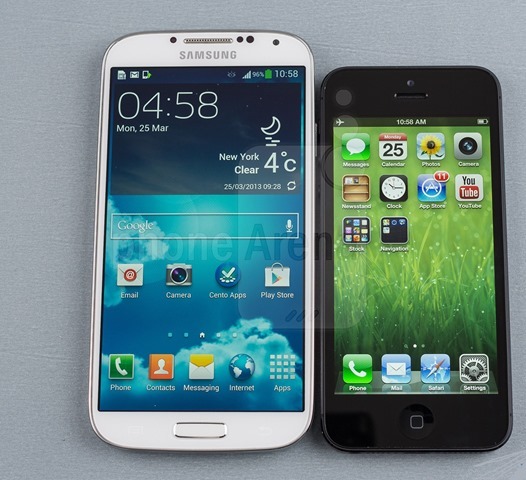 IDC, an research group has said that tablets will outsell all PCs by Christmas and by 2015 they will overtake PCs as consumers prefer tablets. Vodafone has taken control of Germany’s largest cable company, Kabel Deutschland. The 7.7 billion Euros takeover of Kabel, is part of Vodafone’s new strategy to be selling mobile phone subscriptions as well as television, broadband and home telephone services. The telecoms giant Vodafone secured 75% support from the shareholders. The Kabel shareholders accepted Vodafone’s £73.23 share offer, this also includes an 2.50 Euros dividend to Kabel Deutschland’s investors. The deal gives Vodafone access to 7 million cable subscribers in Germany. Kabel’s television service includes 100 digital channels which is sold via contracts with customers or house corporations and landlords. Kabel hoped to get a higher price from Vodafone, which raised concerns that the deal would fall last minute. The US hedge fund Elliot Capital put up its stake in Kabel to 10.9% in the run up to the deal. The governor of Bank of England, Mark Carney has told the Treasury Select Committee (TSC) that inflation is a priority for the Bank of England. Carney warned that unemployment may fall more slowly than markets expect. This is because the recession caused a large number in the people out of work for a long period. Under Carney’s forward guidance policy, the Bank of England will only raise interest rates when unemployment falls to 7%. Additionally, the Bank will only consider raising rates if it forecasts inflation above 2.5% in 18 to 24 months time. There are fears that there will soon be a debt fuelled housing bubble after Rightmove tripled its growth forecast for prices of home this year. The UK property website, Rightmove at the start of year forecasted that the average national asking prices would rise by 2pc over 2013. They are now predicting it will rise to 6pc. These figures raise concern and have put pressure on the Government. Vince Cable, the Business Secretary, has warned the increase in the value of property could be detrimental to the economic recovery. This brings into question the Government’s plan to extend its Help to Buy initiative. The Deputy Prime Minister, Nick Clegg, has suggested there is no need to panic as the Government and the Bank of England will prevent a housing bubble before it becomes a risk. The Government argues that the property market, is a long way off becoming a bubble and plans to continue with the policy of providing support to first time buyers. Millions of people could be receiving compensation for being mis-sold credit card and identification protection. British Banks will share up to £1.3 billion in compensation to over 7 million people, which on average is £185 a person. Thirteen Banks including Santander, Royal Bank of Scotland and MNBA have agreed to a compensation scheme. This would compensate customers who were mis-sold products by the insurer CPP. The city regulator, the Financial Conduct Authority (FCA) said that the banks along with CPP (the company behind policies) has agreed to the compensation package which is likely to start from next spring. The FCA stated that customers had been “given misleading and unclear information about the policies”. The FCA has said that customers can expect to receive letters from the end of August explaining how to get compensation. Before the compensation scheme is given a green light, it has to be voted on by customers and allowed by the high court. After it is approved, the FCA said that the customer will need to complete a single form. Britain’s banks continue to set aside millions for for payment protection insurance (PPI) and interest rate swaps mis-selling. There is still an estimated £15 billion compensation bill faced by the banking industry, which is approximately double the cost of the London 2012 Olympics. There have been discussions concerning zero hour contracts in the media recently. A number of companies have been employing the majority of their staff on zero our contracts. The use of zero hour contracts are on the rise. According to the Charted Institute of Personnel Development there could be as much as a million ‘zero hour’ workers. Although it has its benefits, it has been criticised as workers can be exploited. A ‘zero hour’ contract is a term used to describe a contract where the employee is not guaranteed work and is paid only for the work they do. This creates an on-call arrangement where an employer will give the employee a few hours notice to come to work. The employer does not have to provide work for the employee and the employee does not have to accept it. Under the National Wage Regulations, workers must be paid the national minimum wage if they are at work and are required to be there. Zero hour contracts would benefit people who want flexibility and want occasional earnings. This could benefit students, who would like to fit work around their studies and it could appeal to parents with children. Another benefit for workers is that this contract could supplement a main income. People in full employment may be able to have a second job because of the flexibility of a zero hour contract. Additionally, it would help businesses meet demand. It allows businesses to respond to the peaks and lows of the economy by bringing in people who could have been out of work. Alexander Ehmann, Head of Regulatory Policy at the Institute of Directors said that: “Banning Zero Hours Contracts would hurt thousands of employees who rely on the flexibility such contracts allow and employers, especially small and medium sized firms, would struggle to hire the staff they need to meet varying demand”. It would also benefit businesses as it would cost less to hire staff on zero-hour contacts than fixed contracts. Employers do not have to offer sick leave pay or holiday pay. However if court decides that there is consistent employment then it will override the contract terms. There is also a criticism that workers could be exploited as there is no guarantee on the number of hours workers can work. The Future of Zero hour contracts? Vince Cable, the business secretary, has said that the government may legislate on zero hour contracts. However he has ruled out a complete ban. Cable has been leading a review since June looking at changing rules for workers. This would include reviewing rules where workers can work only for one employer. Labour has said there will be a zero hour summit on zero-hour contract abuse. Chuka Umuna MP suggested that zero hour contracts could cause difficulties for families. The shadow business secretary said “Zero-hours contracts are making hundreds of thousands of people worried about whether they will have enough work or be able to put food on the table for their children week by week”. While change is welcomed, many people however do not wish for them to be banned. Andy Burnham, the shadow health secretary has called for them to banned. This would be unpopular with businesses and workers who need flexibility. 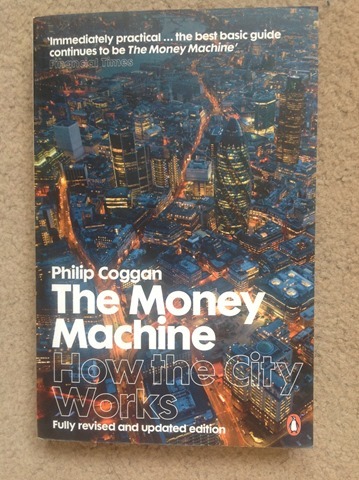 The Money Machine is a great read for those who want to know how the city works. Phillip Coggan, a leading financial journalist has worked for the Financial Times and is now working for The Economist. He explains how the city works in a easy read without no jargon. You know when you are reading a book and you have to stop because there is so much gibberish in there. You will not find this here. Coggan describes the basics of the financial world by defining what loans and bonds are for example. Additionally, he gives an helpful explaining he differences between banks and building societies. What are shares? What does the Bank of England do? Who are borrowers? Coggan explains it all and analyses it very well. At the centre of his explanation, Coggan points out to Credit Crunch and how it has affected the city. It is a great introduction to how financial institutions work in the country. I highly recommend it. Whether you are in the city or aspiring to have a career in the city go and get it!